Our Scarborough dentists perform tooth removals in our Markham Steeles Dental Centre when a tooth is too damaged or causing too much pain to be saved. 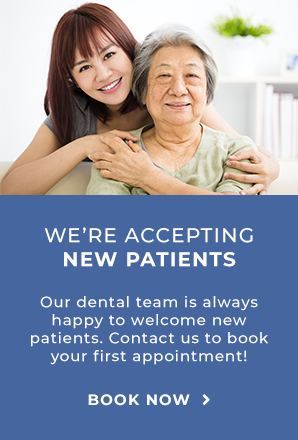 At Markham Steeles Dental Centre, we want you to keep all your teeth, but sometimes a tooth is too damaged, infection or broken to be saved. In that case, our Scarborough dentists may tell you it needs to be removed. If the tooth needs to be removed, your dentist will discuss the procedure, aftercare and costs with you before the tooth is removed. Our dentists want to make your treatments as comfortable as possible. We use local anaesthetic to numb the area surrounding the tooth while the tooth is being carefully extracted. If anything becomes uncomfortable during the procedure, our team will be listening and ready to help make you comfortable. Our attentive team will explain how you will care for your mouth after the extraction.